Sample procedures to facilitate the preparation for and conducting of emergency towing operations. Emergency towing system (ETS), also emergency towing gear – Equipment used to tow a ship out of danger in emergencies such as complete mechanical breakdowns, loss of power or loss of steering capability. Typical emergency towing arrangements consist of strongpoints and fairleads fitted forward and aft of the ship, on the ship centreline. Other components are pick-up gear, towing pennant, and chafing gear. 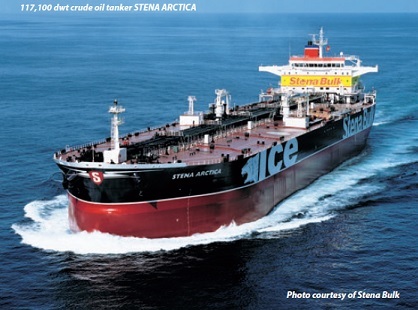 To reduce the risk of pollution, tankers of 20,000 dwt and upwards should be fitted with a stern ETS (to be ready for operation under harbour conditions within 15 minutes) and an ETS on the foredeck. Similar arrangement could be required soon for all other ships greater than 20,000 tons deadweight. Requirement:: All Oil, Chemical and Gas Tankers above 20000 DWT, constructed on or after 1st July, 2002, are equipped with an “Emergency Towing Arrangement (E.T.A.) both Forward And aft to provide the ship with a rapidly deployed towage capacity in an emergency. The Forward system is required to be deployed in One hour by the ship’s crew and the Aft system by one man in 15 minutes. Whereas the Forward system has options for use with or without vessel’s electrical power, the Aft system should be pre-rigged and be able to be set up by manual operation alone. iii)	All associated portable equipment like Chain stopper, Hammer, Pliers, Split pins, Mooring shackles etc., are clearly marked and securely stowed near the fixed equipment. v)	There is no corrosion on any part of the system. vi)	The self-igniting light on the marker buoy lights up. vii)	It is clearly marked to facilitate safe and effective use even in darkness and poor visibility. Procedures for deployment of the ship specific E.T.A. are to be displayed in a common place on board (at least Navigation Bridge, beside the Device (F&A)) accessible by all, as well as being included in the ship’s SOLAS Training Manual. Drills should be practiced regularly in deployment of the equipment, though it is not necessary to fully deploy the equipment. The procedures during drills should be used to familiarize the crew with the method of operation as well as emphasize any hazards which might be faced by personnel during deployment. The E.T.A. is only meant to assist in removing the ship from immediate danger and may not be designed for a long haul. A more permanent towing system is then required to be planned by the Master and the Tug. Emergency towing vessel (ETV) – Advanced pollution prevention and control ship designed to deal with a wide range of potential maritime incidents. Among her principal roles are, towage and salvage assistance to casualties at sea, deep sea towing, fire fighting and anti-pollution duties. An adapted offshore anchor-handling supply vessel configuration is proving to be the most popular and Rolls Royce Marine has been quick to offer suitable variants of their UT design for the purpose. Shipping industry recognizes environmental protection as one of its highest priorities and that every effort should be made to conserve and protect the environment from marine, atmospheric and other forms of pollution. Copyright © 2010 www.shipsbusiness.com All rights reserved.